Was in the library today doing research for upcoming episodes. Was going through the entire print run of Industry Standard magazine, page by page. Stumbled across these graphics. 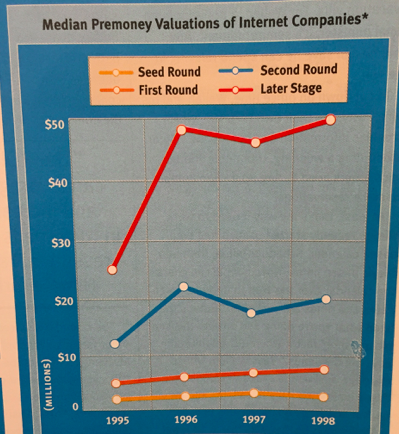 Adding without comment, although, I would love to see a comparable chart for the current Unicorn era. 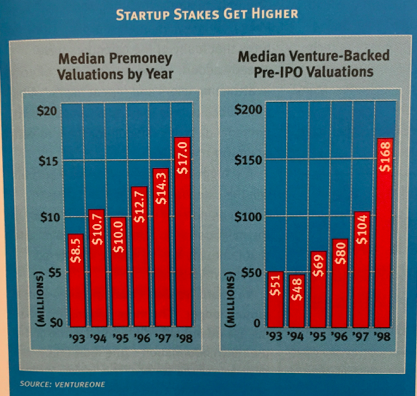 Essentially, in 1998, the Median pre-money valuation was $17 million. Wonder what it is in 2005.